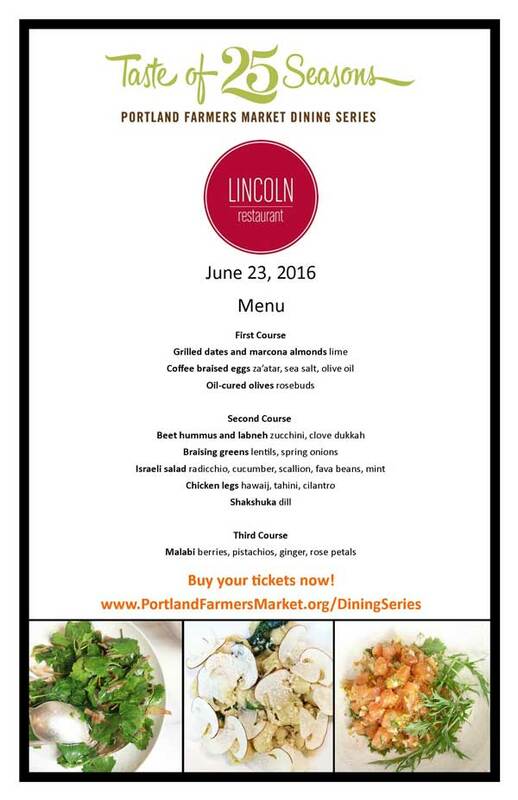 Portland Farmers Market is kicking off its Taste of 25 Seasons Dining Series on June 23 with a multi-course, Israeli-themed dinner at Lincoln Restaurant. 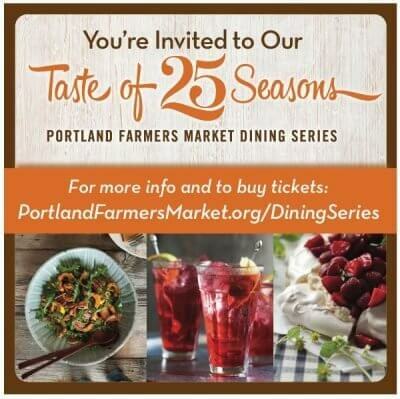 The series is a celebration of the market’s 25th season and the release of the Portland Farmers Market Cookbook. It includes six events hosted at Portland’s top restaurants and two farm dinners. Each of the participating chefs contributed a recipe to the cookbook and most recently, featured in The Oregonian’s best restaurants of 2016. Tickets include gratuity and a donation to Portland Farmers Market so they can continue to fulfill their mission by enabling local farmers and food producers to prosper by creating local marketplaces for their products. The dining series is a great way to celebrate a special occasion, woo a client or just enjoy a night out while also supporting local farms and food producers. 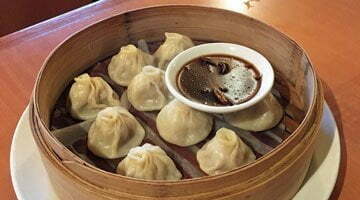 But don’t wait too long – the events have limited seats and a the October event at Park Kitchen is sold out. • Friday, August 5 Besaw’s, Country Cat and Ellen Jackson, Farm Dinner at Sun Gold Farm – hosted by Plate & Pitchfork. Looking forward to Chef Cathy Whims, from Nostrana!